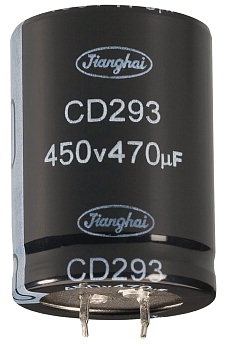 Jianghai company is a manufacturer of high quality electrolytic capacitors. The company was founded in 1958. Production has been completely switched to lead-free technology since 1992. Jianghai is currently China's largest producer of aluminum electrolytic capacitors and ranks among the top 5 in the world. Jianghai is listed on the stock exchange since 2010. The product range includes electrolytic capacitors (snap-in, screw and radial) and polymer capacitors (THT and SMT). Offered capacitors can operate at voltages from 10V to 630V. Operating temperature range is from -40 ° C to +125 ° C and life time is 20,000 hours at 85°C. Company’s R&D department cooperates with many universities and institutions and has access to the latest prefabricated elements. It allows Jianghai to create solutions tailored to individual customer needs. The main recipient of Jianghai products is industrial sector, especially in the field of demanding professional applications.